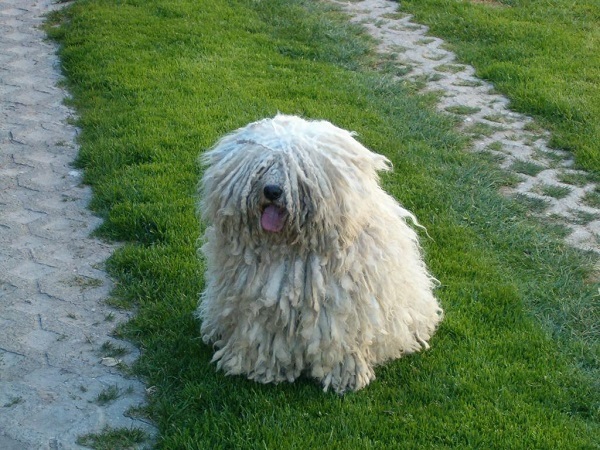 The Komondor (plural Komondorok) is one of the oldest Hungarian dog breeds. It is characterized by a woolly corded coat that gives it a unique appearance. There are many Hungarian dog breeds which are rather famous and popular in the United States today. These include the Komondor, the Puli, Kuvasz, Vizsla and Mudi. Almost all these breeds were developed with the aim of guarding livestock. Mark Zuckerberg-who needs no introduction-, owns a Puli dog named Beast. 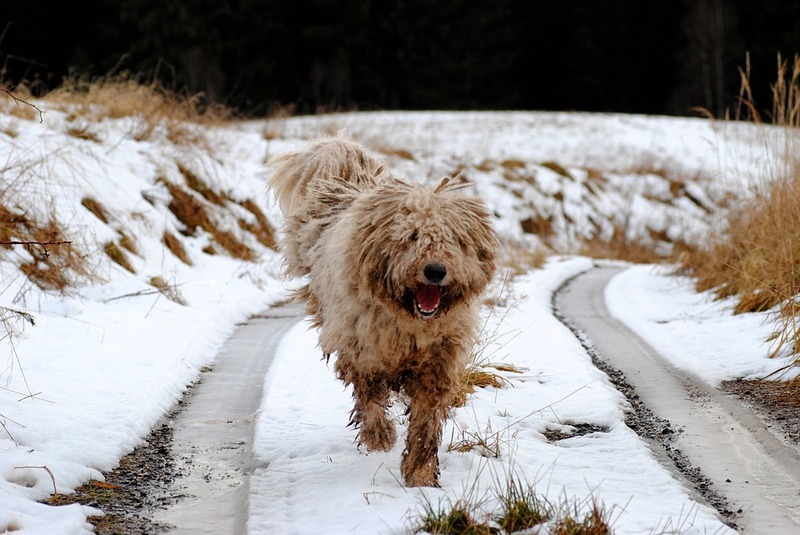 Let us study the characteristics and facts about the Komondor dog breed. Komondor (pronounced Koh-Mohn-Dor) breed can trace its origins back to nearly 1000 years. One of the ancestors of this breed is the Ovcharka. This strong dog breed was developed to keep livestock safe from dangerous predators like wolves, bears and other wild animals. 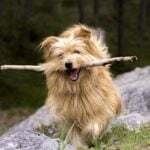 Puli-the smaller Hungarian dog breed-played the task of herding the livestock. So the Komondor and Puli often worked together. Since these dogs had to work under extreme weather conditions, they have a thick wooly, corded coat that hangs to the ground. This special coat keeps them safe from harsh weather, snow, hot sun and other natural assaults. 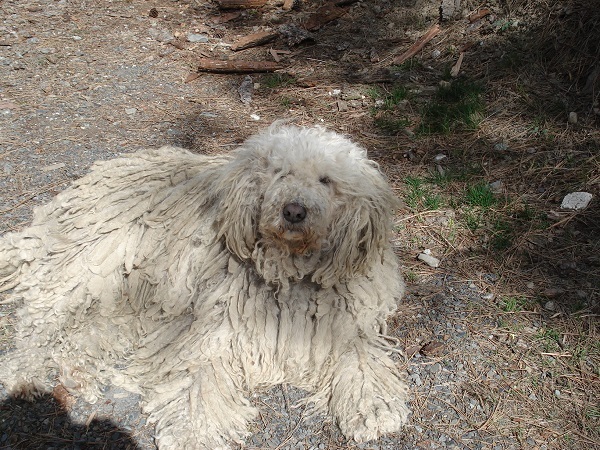 To an onlooker, this dog may look like a corded mop or a ‘creature’ that has been drenched in glue and set loose in a yarn factory. Komondor is a highly respected dog breed not just in Hungary but in many parts of the world. 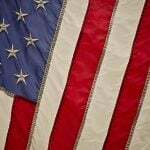 Americans love this breed and it has become a lovable companion in many American households. Physical characteristics- Under all that hair, the Komondorok are medium boned, heavily muscled and strong dogs. The broad head has drop ears and almond shaped eyes. The tail is carried low except when he is on alert. Males measure between 27.5 to 31 inches and females between 26-28 inches. Weight for males ideally should be between 100-130 lbs and for females between 80-110 lbs. The coat is coarse with wavy outer hair that forms thick cords. Cording starts at the age of 1. They come in white (with a hint of cream or buff) or black. Komondorok are twice the size of Puli. Life expectancy of Puli is about 11-15 years whereas that of Komondor is 10-14 years. Both dogs need plenty of daily grooming. Where to buy your Komondor mop puppy? Komondor mop puppies are extremely cute and have a pure white curly coat. The best place to buy them is from registered Komondor breeders near you. Use the official Komondor breeders’ club website to find reputed and registered breeders near you. The purchase price of a Komondor puppy can vary between $500 and $1000. Older dogs sometimes cost more especially if they are trained and experienced in managing livestock. 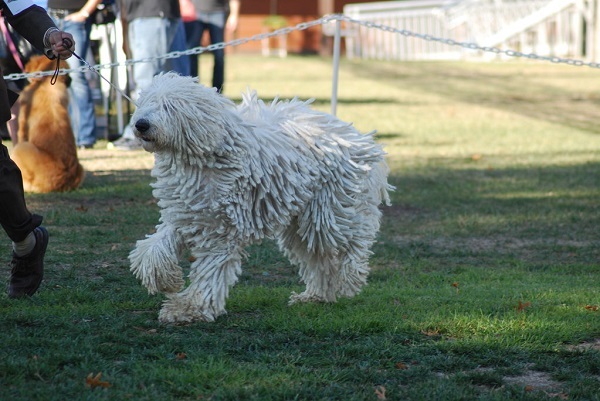 Do not let the Komondor dog price be the only deciding factor when you set out to purchase this breed. Observe the puppy in its litter and, if possible, meet its parents. Select a puppy that is friendly, curious, alert and outgoing. Check with the breeder about initial health exam reports, vaccinations etc. A good breeder will not hesitate in giving you all this information, and will, in turn ask you many questions to ensure that you make a good owner for this pet. Note that this breed is very slow to mature. This breed has a high barking tendency. They are devoted to their home and their owners so they do not have a tendency to roam. Komondor will gladly follow their charges all around the house. This is an ever vigilant and self reliant dog; remember that this independent streak may have come due to the fact that they were often made to work without herders. The Komondor is an impressive dog that needs plenty of obedience training and disciplining from an early age. 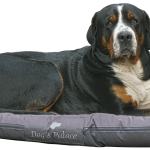 Handling will amplify the positive aspects of your dog’s personality. Being a farm dog, this breed has inherent instinct to herd, guide and protect. Despite this fact, you must still socialize your pet and get him used to early obedience training. Their independent streak could be a hindrance during training. Consistent, gentle and positive training will show great results. This is a dog that needs large space so he is definitely not suitable for apartment dwellers. You must exercise your pet twice a day. Note that this breed matures slowly but the activity and exercise requirements reduce as they grow older. Use your fingers to separate the cords into distinct quarter sized cords. This is a breed that needs to be groomed regularly. Bathing is necessary to keep fleas and ticks at bay. Dry the coat thoroughly after bath to prevent mildew in the cords. Pluck and clean the hairs from the ears and paws regularly. Grooming can be a problem for some owners who are not experienced with this breed. Professional groomers can help in such cases. The average life span of the komondorok is 11-14 years. Some of the health issues seen in this breed are cataracts, allergic inhalant dermatitis/atopy, staph infections, elbow dysplasia, congenital diaphragmatic hernia, gastric dilatation volvulus, etc. Regular trips to the vet and proper grooming, exercise and nutrition can reduce the risk of some of these problems.